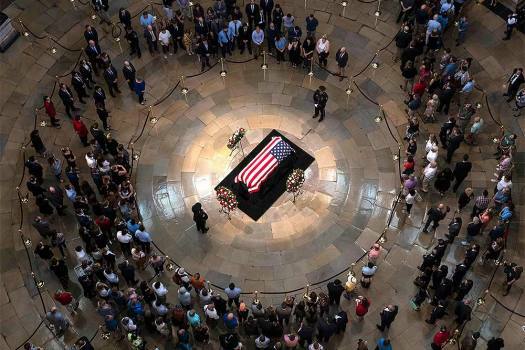 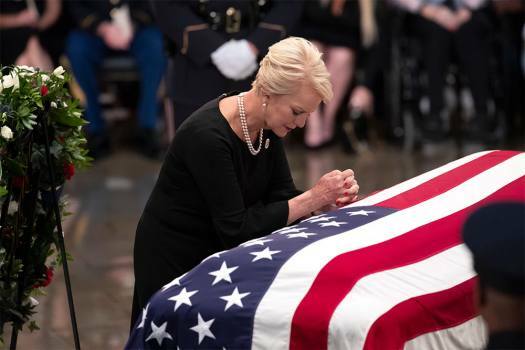 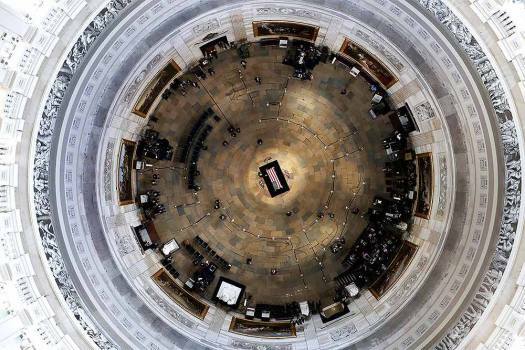 Sen. John McCain, R-Ariz., lies in state in the U.S. Capitol Rotunda in Washington. 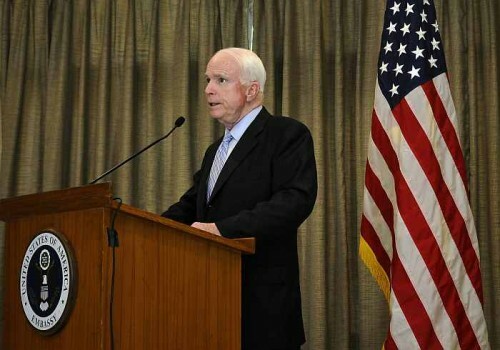 U.S. Sen. John McCain addresses a press conference in New Delhi. 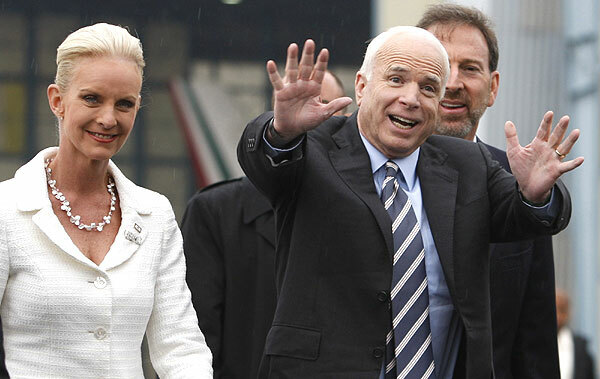 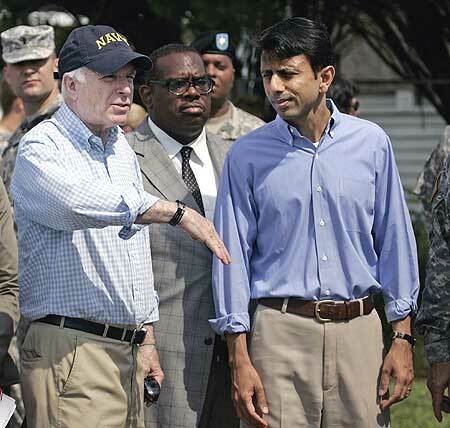 McCain is on a five-day visit to India. 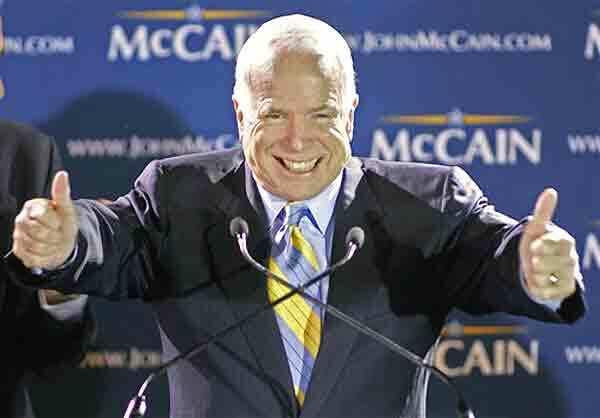 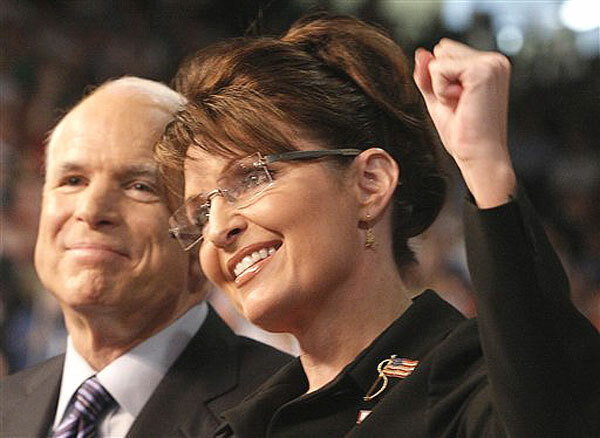 Republican presidential hopeful Sen. John McCain, R-Ariz., gives two thumbs up at his primary victory celebration in Miami, Tuesday, Jan. 29, 2008. 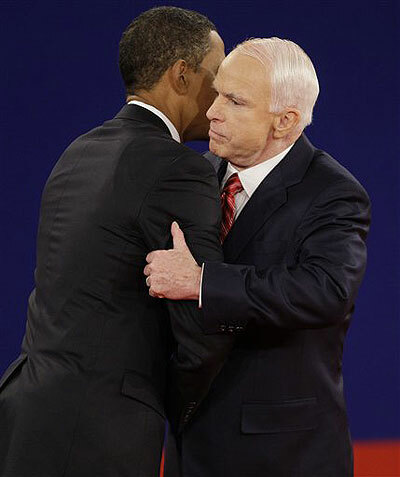 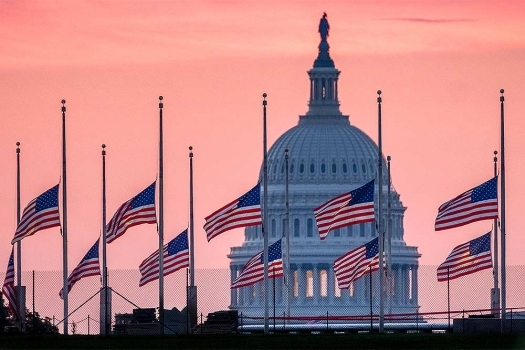 Ex-president Barack Obama, the Democrat to whom McCain lost the presidency in the 2008 elections, said "we are all in his debt."